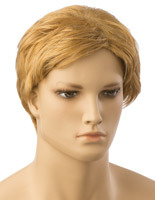 Looking for a way to showcase the top trends and styles in your retail store? 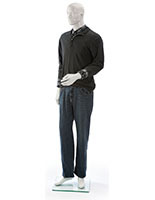 Our male mannequins are perfect to feature garments in any aisle or through a window display. These eye-catching fixtures take the guesswork out of buying by visualizing exactly how amazing it will look on your customers! 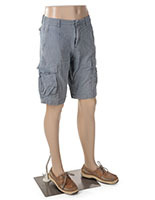 Merchants use these body forms to create unique promotional displays that increase brand awareness and sales. 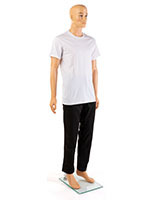 Use male mannequins to model apparel in a striking way that mirrors what these styles will look like in action! 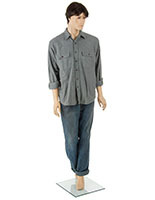 Mannequins have features that are appealing to the eye, and have removable parts that make wardrobe changes easy. The simplicity of their durable fiberglass design makes these fixtures both durable and versatile in any retail environment. 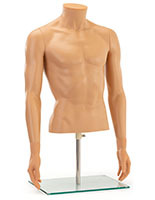 Many of these models have removable hands, arms, legs, and torso that safely and securely snap in and out of place. 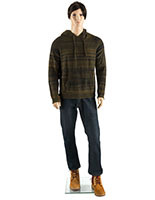 Their attire can change as quickly as your fashion trends do. 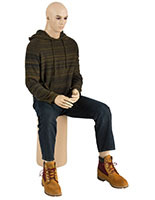 Each model is supported by a weighted base connected via a heel or calf rod. 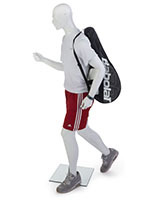 Choose from a brushed metal or tempered glass stand designed to withstand the ages in high-traffic retail locations. 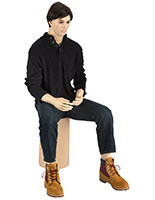 Most models are able to pivot on their base, and many have adjustable parts for different poses. 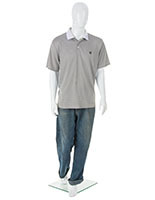 Use several mannequins, in a larger display to announce a new clothing line, push a promotion, or draw passing customers into your store. 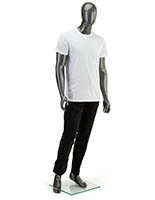 What styles of male clothing fixtures do we offer? 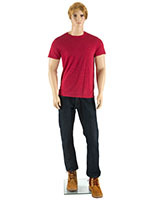 Abstract male mannequins create a unique display for your brand's garment merchandising. 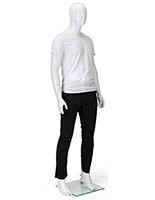 Our cameo-styles offer matte or glossy finishes in black, white, or metallic to suit your retail store's specific theme. 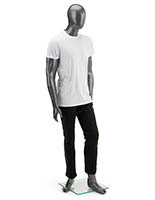 Retailers take advantage of this style's amorphous form as it does not take away from the overall brand message. 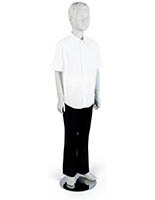 These artistic mannequins allow the clothing to stand out on its own while being featured on an abstract human form. Our realistic mannequins add a distinctive twist to your retail advertising. 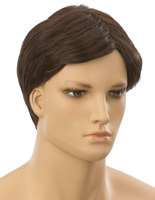 These figures come with natural features, hairstyles, and skin tones that will make any passerby wonder if there is a real model in your showcase. 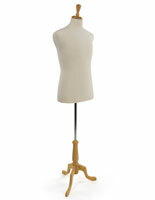 Customers are drawn to the natural aesthetic of these body forms which are great for displaying new clothing styles. 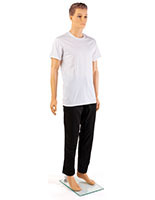 These models provide an accurate depiction of how apparel will look like on an actual person. 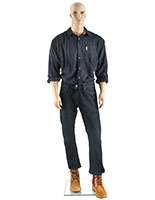 Realistic figures are ideal for photography studios as well in cases that a live model is unavailable. 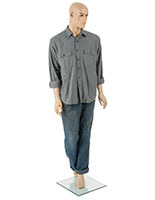 Use body forms as an invaluable merchandising tool in your retail store to attract attention from passing patrons. 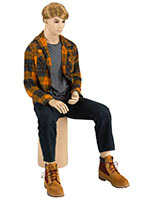 Many high-end boutiques use these models in their street-facing window displays as an opportunity to reinforce their brand while announcing new products. Larger, more intricate, layouts are a useful marketing tactic to make customers remember your storefront. After all, there are few things more effective than creating a positive memory with your patrons.